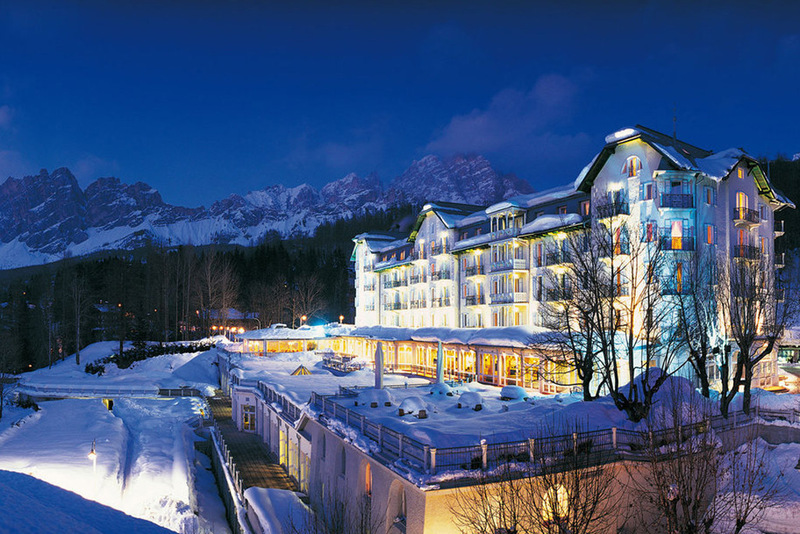 Just when we thought the journey could not get any better our Chauffeur delivered us to the front door of the ‘5-star Superior’ Cristallo Palace Hotel in Cortina d’Ampezzo. The first impression that hits you is the grandeur of the place or should I say palace!?! 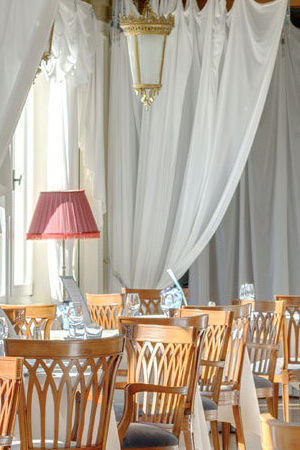 Along with a bronze bust in the foyer of Giuseppe Mendari, the founder along with his wife Emilia, one can feel the history of this hotel, surviving two world wars, and welcoming through it’s door such personalities as Tolstoy, Bardot and Sellers. On arrival Giorgio Borgonovo, the Hotel Manager, made a beeline straight for us with a beaming smile and a warm welcoming handshake, and from that moment we literally felt like royalty thanks to the Cristallo staff. After our welcome we were then shown to our Junior Suite, which on first impression was cosy whilst also being quite luxuriant. A bottle of Cristallo ‘Signature’ Prosecco waiting on ice for us certainly was a fabulous touch, just the style I like to arrive in. The view from our suite of the valley stretched out below and the Tofana Mountain standing tall over Cortina was beautiful, I could have stood on the balcony for hours gazing at this alpine landscape. 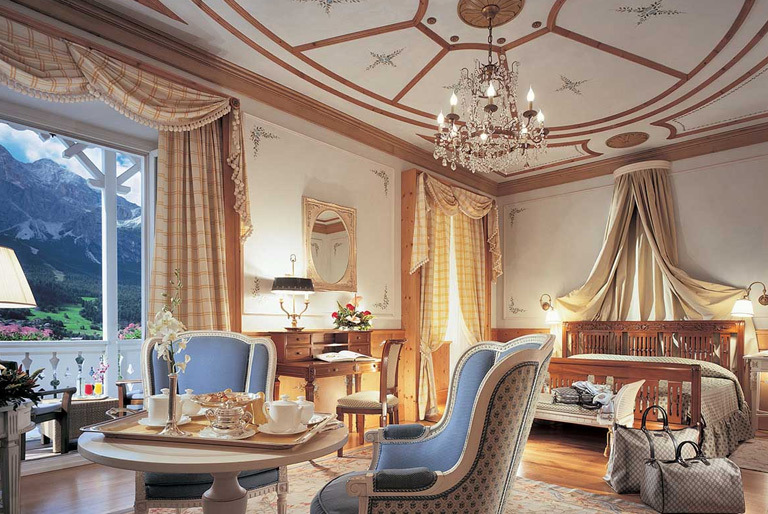 Our suite was one of 74 in the Cristallo Hotel, where they range from the cosy Classic Room all the way up to palatial Presidential Suite with private butler. Every bathroom seems to have a never ending supply of toiletries from the exquisite Swiss cosmetic brand Transvital, which are also used throughout the Hotel Spa. That evening we started the proceedings with the signature pink ‘Cristallo Cocktail’ made by Massimo our friendly bartender, allegedly it’s an aphrodisiac made with lychee liqueur, rosé champagne and the dust of Dolomite rock pearls. Following this rather saucy aperitif we dined in the light and airy ‘Veranda’ restaurant with our most gracious host Giorgio. 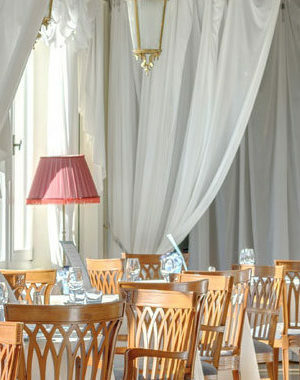 The Veranda covers authentic cuisine from all corners of Italy, and it truly is something to be experienced. Hidden away in the kitchen the chef and his team were happy to tweak their dishes to fit our gluten free requests, without compromising on taste at all. 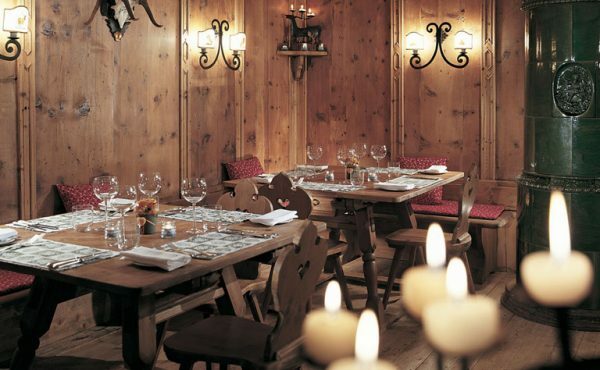 We experienced such delights as succulent Beef Carpaccio with Parmesan, tender warm octopus salad for starters, perfectly cooked risottos, and such main courses as Veal Osso Buco with grilled vegetables. One evening the chef surprised us with their delectable Gluten free Chocolate torte made especially for us, which was followed by the Chocolate trolley! 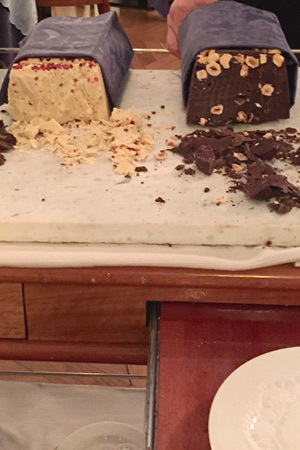 Yes, you did read correctly… the Chocolate trolley. 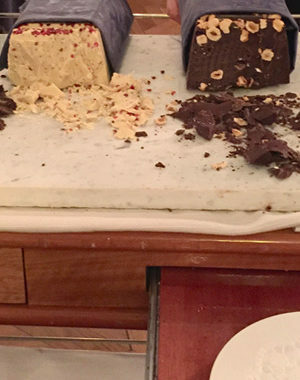 What an invention of genius, three giant slabs of dark, milk and white chocolate, the perfect way to finish a fine dinner! All this food was perfectly paired with excellent Italian wines selected by our host Giorgio and our Sommelier Allesandro. but when it tastes that good who cares) and the grand finale was their chocolate fondue with a selection of fruits and nuts, in fact the chocolate was so delectable that we resulted to spooning out the indulgent chocolate by itself! 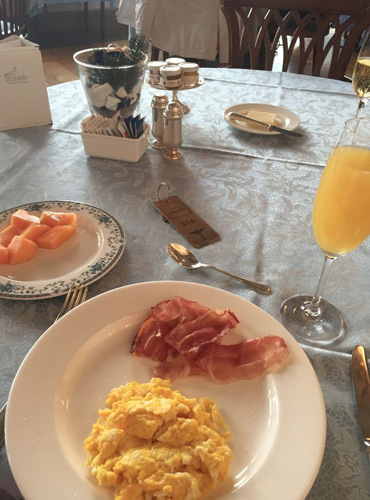 The fine dining did not stop at dinner; breakfast was quite the Smörgåsbord with the Cristallo catering for every type of culinary desire. From the healthy ‘My Body is a temple’ conscious to the most hedonistic holiday maker. One can pick from freshly squeezed juices to organic, gluten-free and dairy free and there is even an area to weigh out your ingredients! All the way to the other extreme of hot chocolate, hot doughnuts filled with custard or chocolate (make sure you have extra holes in your belt) with a very vast array of all of the usual cereals, jams, yoghurts, fruits, fresh baked breads, pastries, cheeses, meats, coffees, teas etc… If one wants to start early there is even Prosecco available! Bucks Fizz breakfast anyone? 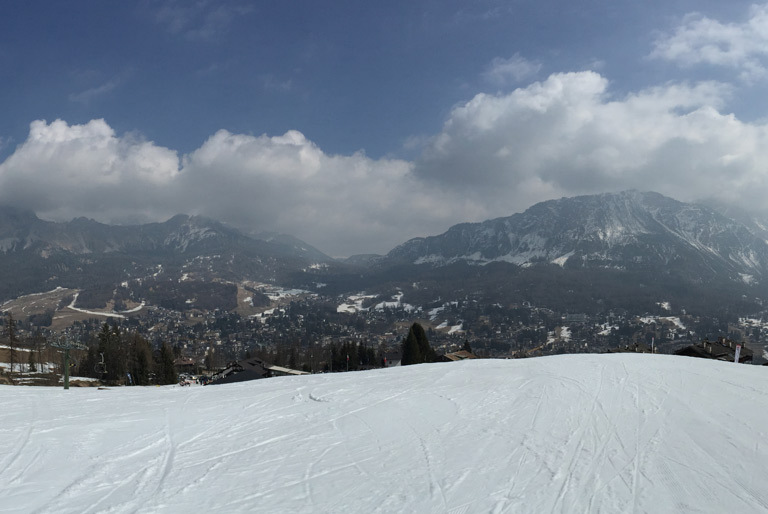 Whilst the skiing is spread across town the Cristallo runs a pre arranged Shuttle service to either of the ski areas and back to the hotel at the end of the day, where even the boot room holds a surprise. This has to be one of the best boots rooms I have experienced, with cheese, meat, wine and Prosecco laid on for your return. I don’t think I have ever taken so long to remove my boots at the end of the day… hiccup! Having not been to this region before I did not know what to expect, from our warm welcome to our solemn goodbye the Cristallo Hotel had become our home away from home. 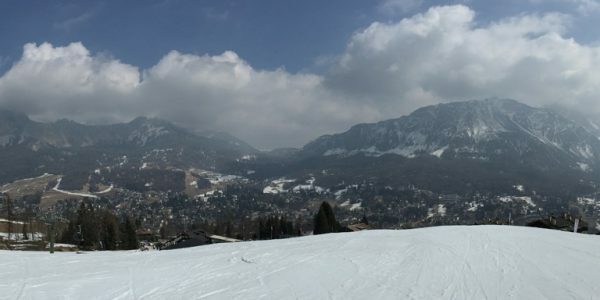 With such amazing facilities from the bars and restaurants to the spa and truly wondrous Ski Boot Room it was tough to leave. 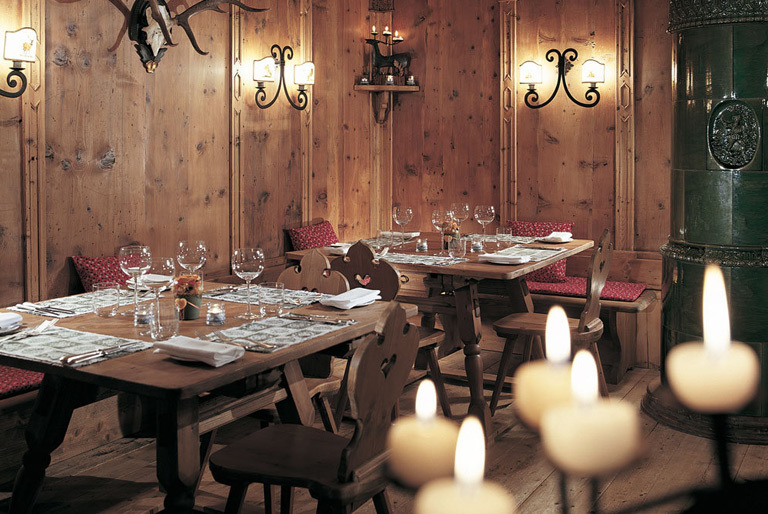 There is a reason that the Cristallo has 5 stars followed by the title ‘Superior’ and why the Cristallo was awarded ‘Italy’s Best Ski Hotel’ in the 2014 World Ski Awards. 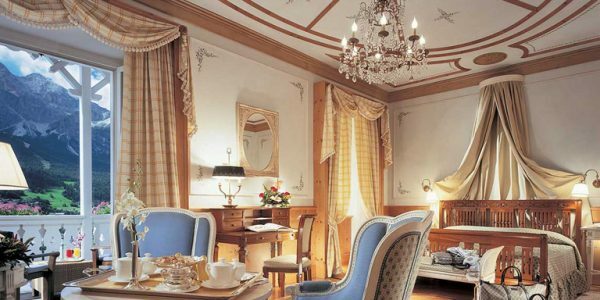 If you are off to the Dolomites anytime soon look no further than this super superior palace hotel – you will NOT be disappointed.